The following presents a large variety of tiles that give off the appearance of wood, which strive to provide durability and the look of an authentic wood flooring at an affordable pricing range. There’s no doubt you’ll find the ideal option for the project in your home! When it comes to home improvement, there are a lot of buying decisions to make. 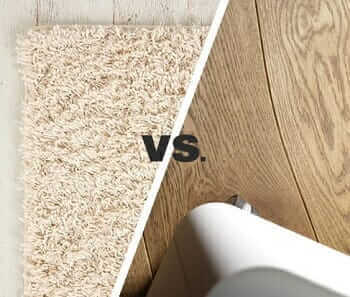 The first is choosing a long-term flooring solution that will work for both your preferences and your budget. A lot of the time, this can mean leaving behind traditional hardwood in favor of an alternative option. One choice you can make is to hop on the wood look tile bandwagon! This wood-look option provides a high level of durability that provides the look of natural timber. 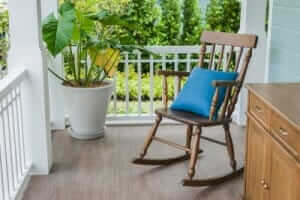 As a result, it’s a perfect outdoor and indoor option for many people. Typically made up of porcelain tiles, this popular tile trend blends well to create a uniform appearance. With these natural-looking pieces, you’ll surely be able to beat the pinball machine that is home improvement. Pay attention to the certifications that come with a tile that you like. Take a look into the manufacturer, as this can give you an idea of how popular the company is. It’s also important to keep in mind that larger companies are also more likely to be fully certified, as they want to keep their reputation positive. In addition, you’ll want to ensure that your choice comes with either a PCTA or TCNA mark of certification. This tells you that it’s up to national standards for quality, safety and a variety of other aspects. You’ll be able to trust that a tile with this mark is a solid option. Appearance is naturally a very important part of the process of choosing a quality wood-tile flooring. The good news is, you don’t have to be a pro to be able to determine whether or not a tile has a high-quality appearance. The way you determine the quality of the tile it by looking at the image on it. It should appear very natural and clear, giving off the beauty of natural wood. The imagery on the tile should be high resolution, so that it’s extremely clear to anyone looking at the tile what it represents. While you’re shopping for tiles, you may find options that are either rectified or non-rectified. For most situations, rectified is going to be the best option to choose. Generally speaking, these are the higher-quality choices out there. Rectified tiles come with plenty of benefits, including a lower chance for uneven edges, warping or large grout lines. As a result, the finished product can appear much more smooth and seamless, which is what you want when you’re going for a wood look. Many also find that the durability of tile is important to pay attention to. For the most part, using thicker tiles can ensure that the result is more durable and also more resistant to water, which can help with avoiding water damage and allowing it to look great for outdoor and indoor use. While thinner options may be more budget-friendly, they may not be able to last as long when compared to tile that is more dense. As a result, you may find that you’ll need to replace your flooring more often, which can lead to you having to spend more money in the long run. 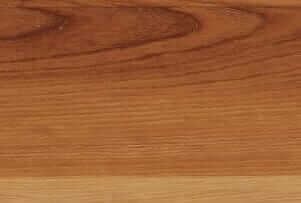 There are a multitude of aspects about Wood Look Tile that are eco-friendly. The first is that these products are fully recyclable, which means that when they are thrown out, they can be created into a new product. Just make sure to check with the manufacturers of your choice to verify that for their product. In addition, there are no harmful chemicals in the process. As a result, there are also no odors or chemicals in the air. This makes them a safe option when compared to some others out there. Tile is much less susceptible to issues with dander, pollen, dirt and dust mites. These kinds of things can easily hide away in carpet, but don’t have the same option with tile. As a result, it’s easier to keep clean and free from most allergies that can cause issues. In addition, you can expect smooth tile to be water-resistant and textured tile to be able to be installed in a manner so that it is water-tight. That said, you will want to take the necessary steps to ensure that your subfloor and grout are safe from the possibility of growing mildew or mold. 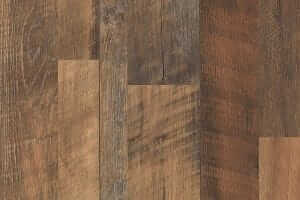 Wood look tile can be used in a variety of places, including kitchens, basements and bathrooms. As a result, you’ll have a lot of options to choose from. In addition, this is an option you can also place over cement or without a subfloor so it’s an easy one to install in that sense. If you do have a subfloor, you’ll want to make sure it’s prepared well for the tile over it. However, if you don’t then it’s not a big issue! You can also choose to use different kinds of tile in every space, allowing you a reliable flooring option for outdoor and indoor spaces with different styles. If you’re looking for one of the most durable choices out there, tile is also a perfect option. Not many other options can stand up to everyday use so well, especially for 20 or more years! Do keep in mind that you will have to take care of the tile, but as long as you do it can hold out for a long time. Consequently, you’ll get something that can provide the look of wood without the same high-maintenance issues. It is important to remember that there can be some issues where the tile will chip, but overall it does a fantastic job of standing up against spills and other kinds of standard living problems. If you have a pet-loving household, then you’re likely to want flooring that is able to hold up to the claws and accidents of pets. Even valuable hardwood floors can become scratched or scuffed by the claws of pets as they run around. However, tile is unlikely to have that same problem. Tile holds up to claws better, so you won’t need to worry about damage to the surfaces. In addition, you’ll have an easier time cleaning up after the accidents that pets can have. Thanks to the smooth surface, you won’t have to worry about stains. Just make sure the grout gets cleaned well too. Furthermore, cleaning up just about anything on your tile floors will be a lot easier than with other options. With a good vacuum for hardwood floors that works on hard surfaces or tile mop you’ll be able to get just about anything off the floors with minimal issues. In addition, you won’t need any fancy cleaners or anything of that sort. That said, you will want to be careful about the cleaners you choose to use. If the cleaner is too rough, it can damage the grout. As a result, you’ll want to find a tile-friendly cleaner that you can use. There are a lot of benefits that tile can provide for you over hardwood. It’s often more durable, longer-lasting and a lot less expensive than many hardwood options out there. On top of that, there are many designs available that can pull of a very authentic hardwood look. 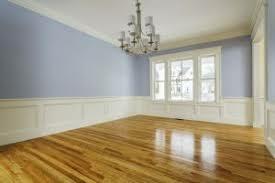 Furthermore, many find that there are pricing differences in hardwood based on the color and type of wood used. However, regardless of the color, tile is often made using the same materials every time. As a result, you’ll find that pricing is much more stable regardless of the wood it’s made to look like. As many are aware, tile flooring is notoriously hard. This can be uncomfortable in areas where you may need to stand for longer periods of time. In addition, this can be especially problematic for those who may need to kneel on it while bathing a pet or young child. Furthermore, this hardness factor can also be a problem for any objects that are accidentally dropped upon the tile. Either the object or the tile itself may end up cracking. There are some things you can do to help with this issue, including purchasing an anti-fatigue mat. Unlike some other flooring types, installing a tile floor can be rather difficult. Unless you are a professional or have a lot of experience in DIY flooring, then you’ll likely want to hire someone to get the job done. The subfloor beneath the tile needs to be in good shape, otherwise you can run the risk of uneven flooring or a greater potential for mold. There may also be tiny cracks in the tiles that not everyone will be able to notice, which can present a problem further down the road. Here is our guide about How to Install Ceramic Wood-style / Wood-look Tiles. Another issue people can have with tile is that some varieties can have the potential to be slippery. This is largely an issue with polished or smooth tile options. As a result, elderly individuals and smaller children can run the risk of slipping and falling. In order to resolve this, you can opt for a more textured option when placing tile in areas that may be prone to wetness more often. There are many options with grooves and non-slip action that will help to keep people walking on it safe. It’s an ideal option for bathrooms and mudrooms. On top of the hardness factor, tile is also cold. Consequently, it can be very uncomfortable to walk on in cooler mornings. The good news is that you have a few different options that can help you with making yourself more comfortable on the tile flooring. You can choose to look into underfloor heating, which can be a bit of a splurge but many people find that it’s worth it. Tile is also less costly, which can allow for more funding to go to the added heating. However, if you don’t want to spend much then you can also opt to wear slippers or buy a rug. Marazzi is one of the older companies, and has been in the tile business for over 30 years. It’s also known to be the first manufacturer in the United States that is Italian-owned. They also provide for over 6,000 employees within plants in four different countries. Furthermore, this company is backed with a wide variety of options, including hundreds of color options as well as a multitude of patterns. Due to this wide variety of products, you’ll surely be able to find what you need for your home. If you prefer to work with a slightly smaller company, then Merola may be the right option for you. While they might be small, that’s not to say that there isn’t a large selection available. This company offers 40 color options for you to pick from, and you’ll also be able to choose the perfect size from 20 options. If you decide to go with this company, then it will be important to keep in mind that the options can be a little more expensive than some others out there. As a result, you can also expect a higher-quality option. For those who prefer the best of the best, this high-end company can provide you with everything you need. This company is definitely going to be able to provide for your luxury needs with the 400 showrooms the company has available to make use of. Furthermore, you’ll be able to look through 75 options that will ensure you can find the perfect match. These options also come in a wide variety of textures and sizes to fit any room in your home. For those who want their tiles to be as high-quality as possible, this is the ideal option. Another great option available is Vitromex, which offers higher end tiles. In addition, some tile options can be purchased at a slightly lower price than some other luxury choices. You’ll also be able to choose from 19 shades of wood look tile that can surely suit your needs. In addition, you’ll also be able to trust that the tiles made by this company is made up to the standards of ANSI. As a result, they’ll surely be reliable, safe options to have installed in your home. It’s well worth a look during your tile shopping. For those who are looking for a lot of variety, this is a fantastic way to go. As the largest supplier of ceramic tile in America, this company can offer a lot in the way of choices. With 75 different kinds of options including colors, shades and sizes you’ll definitely be able to find what suits your needs. These tiles are also easy to get ahold of, allowing you in-store options like Lowe’s and Home Depot as well as online through Wayfair. With so many options, you’ll be able to take a look at everything this manufacturer has to offer wherever you please. For those who want more than just ceramic options, Ragno is well worth a look. This company is able to offer you metal, porcelain and glass tiles as well. Consequently, so if you’re looking for something other than ceramic then Ragno has got you covered. In addition, the tiles offered by this company are made using very high-resolution imagery, which means that they’re able to create options that look exactly like the kind of lumber you’re interested in. You’ll be able to look through 5 collections, 17 shades and a decent size range to find the perfect one. If you also have interest in natural stone as well as tile, this manufacturer is a great one to take a look into. This company is able to provide the kinds of tiles you may need as well as things like sinks, stone slabs and more to handle any of the other renovations you may want to make. You’ll also find that there is a wide range of options, allowing for you to also be able to find something that will meet your budget needs. When compared to other options, there are a variety of pricing options as well as styles. Some prefer to shop with as few companies as possible, which means you’ll need to choose options that are able to provide a wide variety. As one of the largest manufacturers in the country, this company not only offers a huge variety, but also focuses on eco-friendly options. With 6 collections and a huge selection of 35 color choices, and many of these options are made with almost half of their construction from recycled materials. On top of that, they are made up to high-quality standards, including fantastic matte glazing and elaborate details for a great look. The price of tiles can range pretty greatly depending on the style and quality. Generally speaking, you may find options ranging from under $2 to upwards of $12. That said, you’ll be more likely to find high quality options beginning at about $3, so this is a good number to shoot for. You can choose to purchase tile at prices below that, but they will be more likely to have poor quality. Regardless of what pricing level you select, it’s important to make sure you’re able to check out the quality before you make the purchase to ensure it’s what you’re looking for. For those who are very keen on sticking to a tight budget, you can watch out for sales that manufacturers will have periodically. This can often happen when they have a line that isn’t going to be made anymore. If you look out for these sales, you can get them at a much lower price. If you aren’t sure yet exactly what you want, it can be a good idea to check out what’s available at your local home improvement stores. These places can provide a lot of options and give you an idea of the prices available. However, if you know the exact tile you’re interested in then shopping online can allow you to compare deals. Just make sure any tiles you choose come from reputable sources, just in case. In addition, you’ll want to make sure to purchase more than you need. Within many cases, some times can arrive broken or they can be broken in the process of installation. In order to speed up this process it’s better to just have more on hand already so you won’t need to wait for more to be delivered before you can continue. There are a number of factors you’ll need to consider prior to making the tile purchase. The first is the overall size of the job. Make sure to take into consideration the area you’ll be renovating. Naturally, a larger space is going to be more costly than a smaller one. In addition, the tiles you choose are definitely going to play a part in how much the overall price is going to be. Higher-quality tiles can add to the price, but they also have a higher chance of lasting longer than lower cost options leading to a lower cost in the long run. Finally, you’ll need to consider whether you’re going to hire a professional or attempt to install the new flooring yourself. While this is a possibility with more experienced individuals, it’s not a method that should be attempted as a first-time renovator. Furthermore, make sure to take into account the other tools you’ll need for getting the new tile installed. These can include tile-specific tools, grout and anything else you may need during the process. Once you have a plan for handling all these variables, you’ll be all ready to get your tile flooring installed. Before you get going, it’s important to be aware that you’ll need to pay particular attention to the subfloor. It needs to be in top condition in order for it to function well under tile. Firstly, the subfloor needs to be even in order to handle the tile well. Furthermore, it can’t contain any moisture as that can quickly grow mold and bacteria if that moisture gets trapped under the tile flooring. It will also need to be free from any cracks in order to provide a solid surface for the tile to rest on with any level of efficiency. As a result, you’ll need to make sure the subfloor is up to the task. If you hire a professional, then they’ll be able to check it out and let you know what kinds of repairs it might require. You will need to keep in mind that these repairs can be costly and time-consuming. However, if you already have a cement floor and it’s in good condition then you won’t have to worry about the added cost of fixing or adding in a subfloor. You’ll also want to make sure to not install tile over plywood, as that won’t work out well. Another aspect you’ll need to consider is the grout lines. Thicker grout lines are going to have the ability to hold up better than thinner ones. This is important to keep in mind when you’re looking for something that will be able to hold out for years. That said, those who are looking for wood-looking tile don’t typically want large grout lines breaking up the uniformity of the wood. As a result, you may want to go for thinner lines in order to have a more seamless look overall. Naturally, this choice is going to be up to you individually. If you aren’t sure which option you’d prefer to go with, it’s a good topic to bring up to any professionals you call in for an estimate. They’ll be able to give you a good idea of how the various levels of grout will work out, and how long your flooring will last. Finally, it’s a good idea to get multiple estimates if you can. This gives you a greater idea of who you can trust to get the job done as well as what pricing levels are available to you. Once you’ve done that, you can choose the one you like best! One of the most convenient aspects of tile is that it’s durable and very easy to maintain. For the most part, you can use just about any cleaner on it. That said, you will want to pay attention to how acidic the cleaner is, as some can damage the grout. However, with a mild cleaner you’ll have a much easier time keeping the tile in good shape than you might with wood or carpet. You can easily use a broom or vacuum as well as a steam mop to keep the tile clean and smooth. Some great options are microfiber mops, static brooms and vacuums that are ideal for caring for many types of tile. Every so often, you will want to make sure you scrub the grout as well to keep it clean. Just these two things will keep your flooring in good shape. There can be some cases in which you’re in need of a truly low-cost option. Under those circumstances, laminate can be an ideal choice. It comes in at a much lower cost than many other options and the quality of it has really improved. If you have a very strict budget, you may want to take a look into laminate. It offers a huge variety of colors, styles and even thicknesses. For areas that don’t see a high level of moisture, laminate can be worth taking a look into. Check our review about the best laminate floor cleaner in the market today. 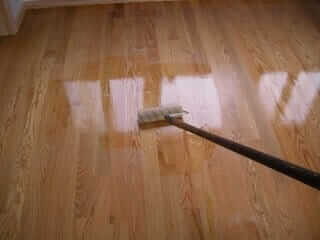 However, in areas where moisture is a common occurrence then laminate may not be the best way to go. This option isn’t one that is able to handle a lot of moisture very well. You can find some that may hold up a little better, you’ll still want to make sure to take extra care. For areas that may be more likely to see moisture, vinyl plank is also a great option. These products often tend to have a greater resistance to water, which makes them more durable for areas like bathrooms. Furthermore, it is also more affordable. If you’re concerned about the comfort level that comes with tile, this may be an option worth looking into. This option is softer and warmer than tile, so many people can find it more comfortable, especially when you need to stand for longer periods of time. Due to the combination of price and comfort level, vinyl plank is growing has been growing in popularity. Many of the options provided are also very authentic looking, which allows you the look and feel of wood without the additional cost. It can also be an option that is much easier to install yourself than others. There are many who prefer the real thing when it comes to wood, and that’s certainly an available option. You will need to keep in mind that it is one of the more expensive choices out there. This is often what keeps people away from choosing real hardwood. That said, there’s no denying there is an elegant look to hardwood. It’s a gorgeous style, and there are a wide variety of different types of wood, colors, shades and more that will certainly improve the look of any room you place it in. On top of the price, hardwood flooring can also be an option that is harder to take care of. It scratches more easily than tile, and can receive more water damage in some instances. As a result, it’s something that can require a lot more work than other types of flooring available. Overall, tile is truly a great option for those who want an affordable option that can also hang in there for the long term. It’s easy to clean and you’ll have the ability to select a tile that is very authentic looking. This is due to high-resolution images that allow for a clear look. If you take your time making a quality choice, then you shouldn’t have any issue with the resulting flooring. Just make sure you take into consideration the added costs of any subfloor repairs, tools and grout. In no time at all you’ll surely have a flooring that looks great and holds up well.